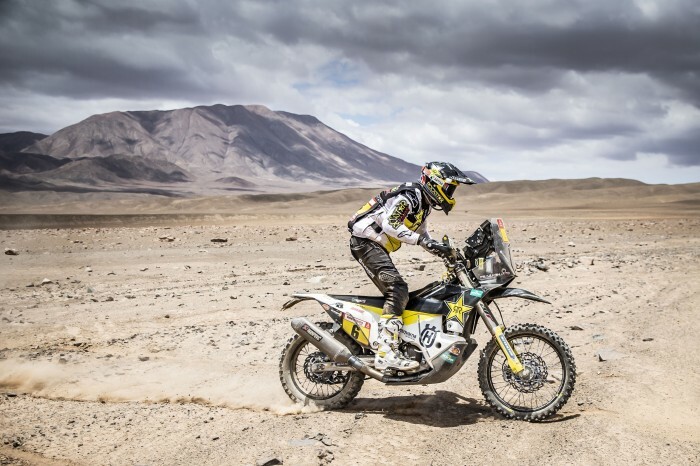 Rockstar Husqvarna’s Pablo Quintanilla remains in the Dakar 2019 hunt after a tactical day five which saw him remain in the top three overall. Quintanilla led away from the mass beach start but then decided to play it cool and not take any risks ahead of today’s rest day. “Five days done and I’m in a great position in this rally. The first part of the stage was a lot of fun. I took the lead after the mass start, but then decided to stay off the gas a bit. My eyes are focused on the overall classification and I’m in a good spot to attack during the second week,” said Quintanilla. “Today I felt great on my bike. I was able to get a good pace and do my own race. The Dakar is always a long event and you need to always see the overall picture. I’m happy with my performance today because I’ve managed to put myself in a great position for Sunday’s stage six.